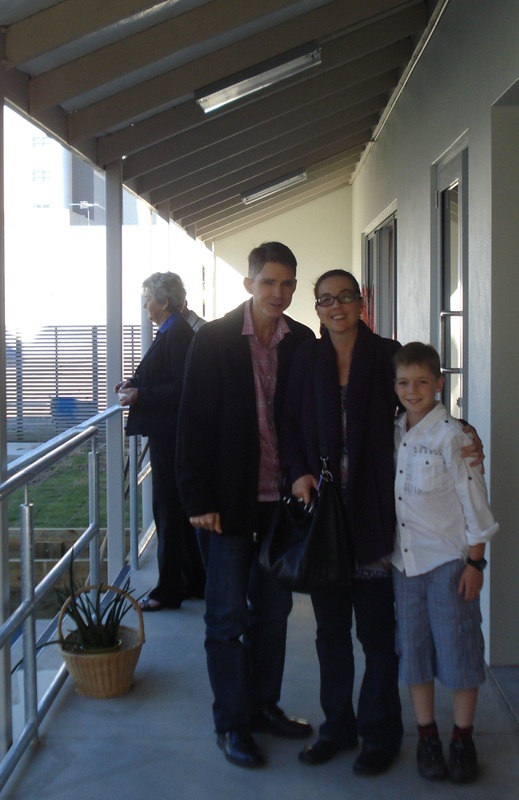 A Church Service was held on the 22nd of June 2013 celebrating God's provision for the building of the St Paul's Uniting Church Hall Extension in Macalister Street, Mackay. 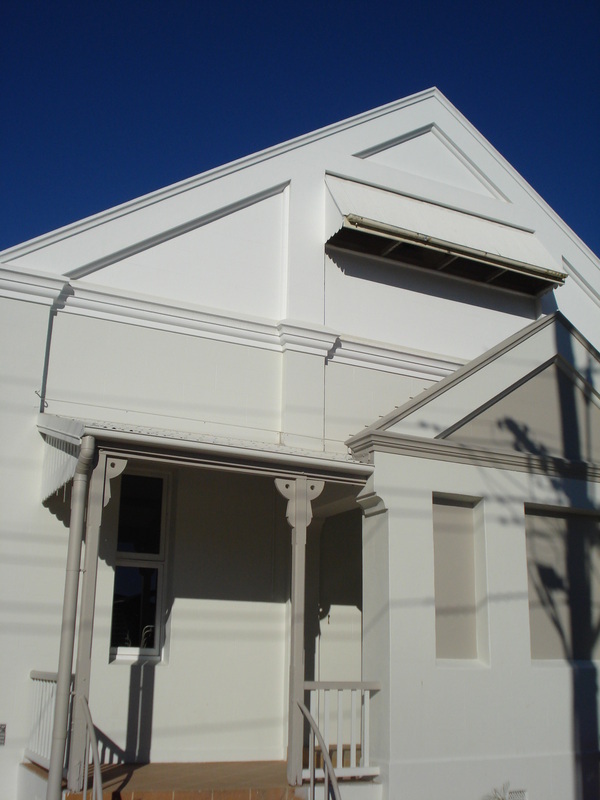 The St Paul's Uniting Church Hall in Macalister Street, Mackay. Riki Schroeder - Secretary of MCT with Uniting Church Leaders at the afternoon tea in the new St Paul's Uniting Church Hall - 22.6.13. 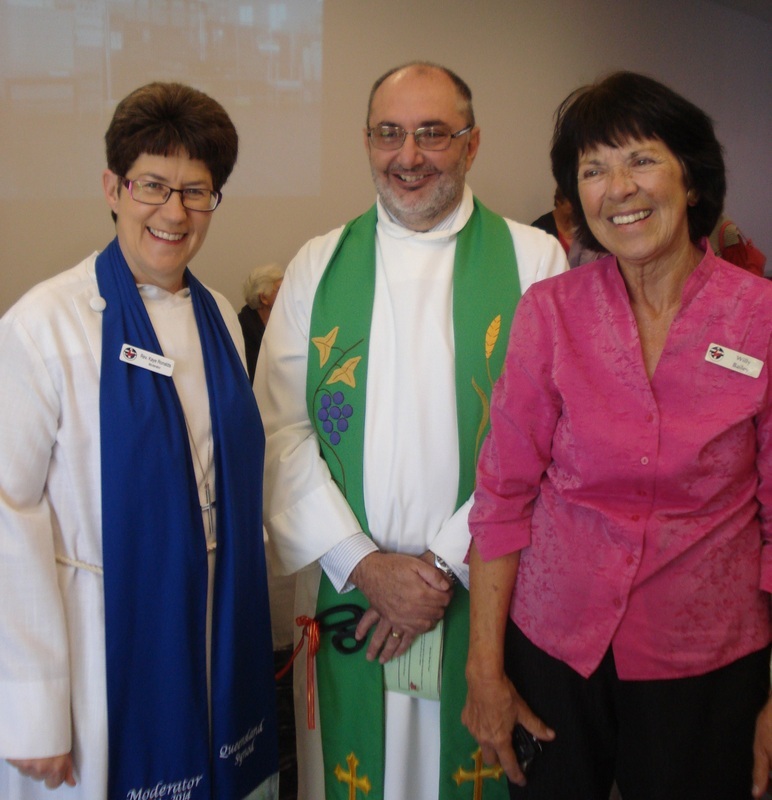 Mrs Willy Bailey with the Uniting Church Moderator and a Church Leader - 22.6.13. 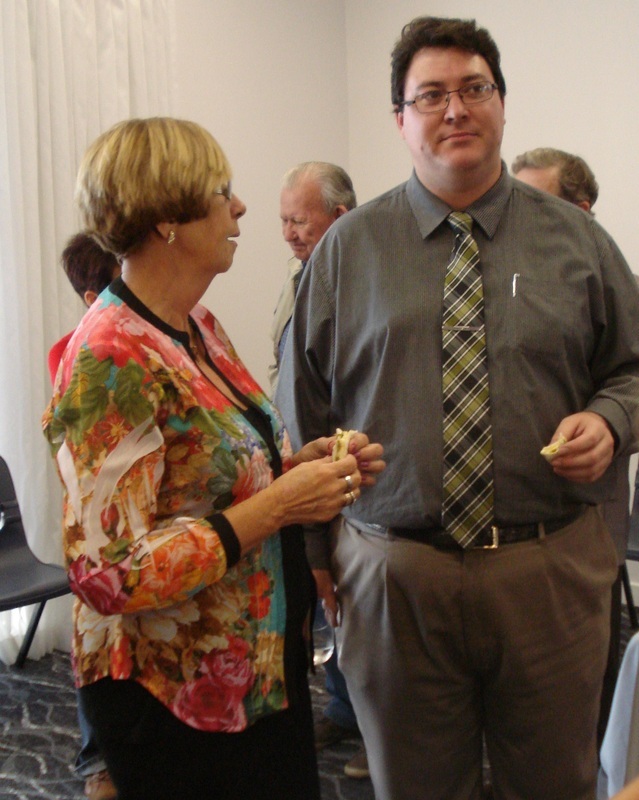 Reverand Jan Whyte and George Christensen MP - St Paul's Uniting Church Hall Extension Celebration. 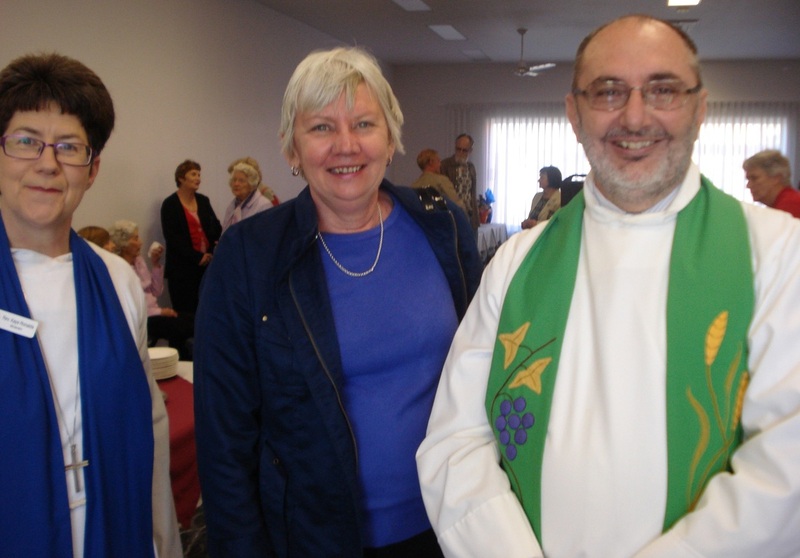 Reverand Alan May Acting Chair of MCT and Reverand Jan Whyte at the afternoon tea celebrating the Opening of the St Paul's Uniting Church Hall Extension. Ian and Valerie Hamilton and Barbara and Bruce Lenahan. 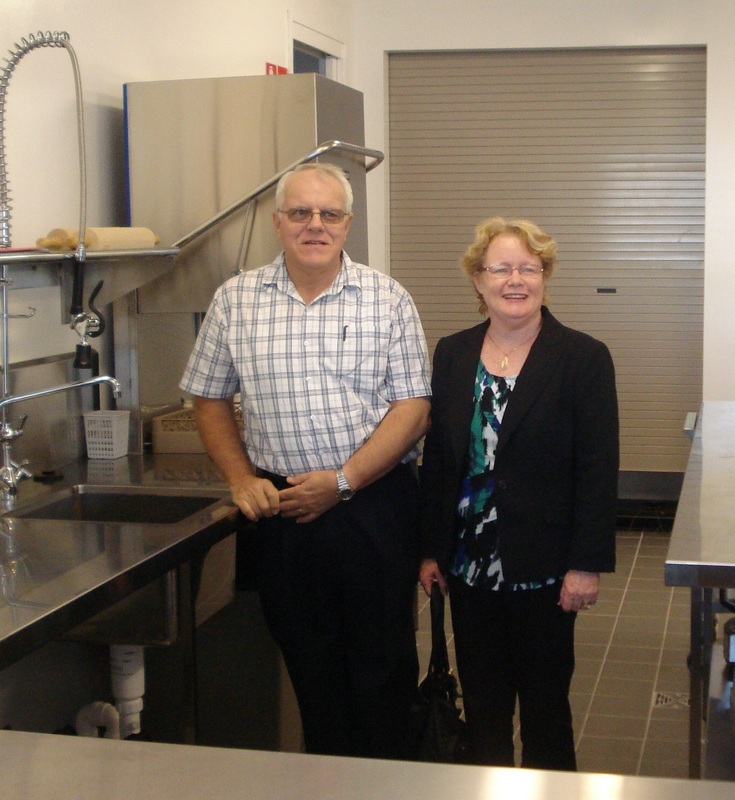 Ian and Valerie Hamilton donated a lot of the equipment for the new St Paul's kitchen. 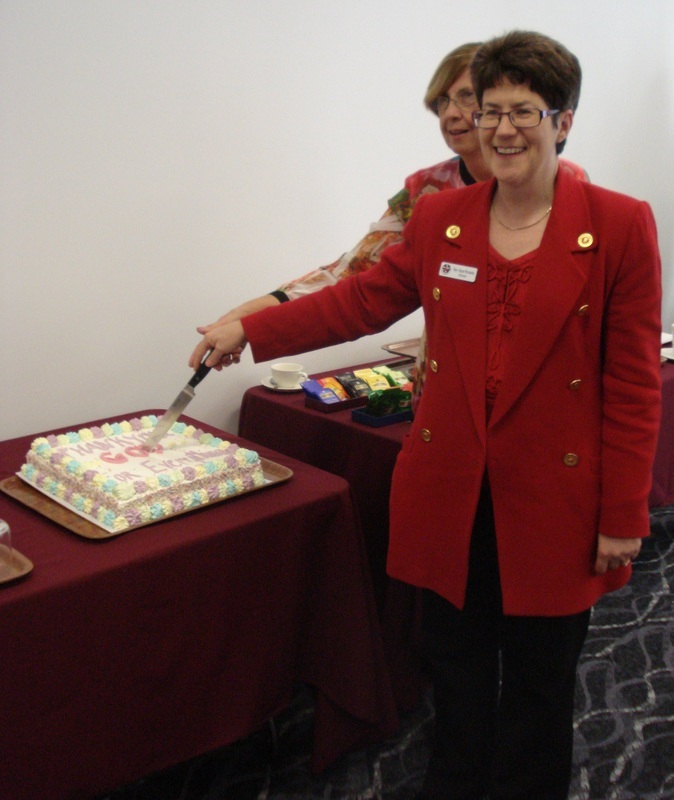 The Uniting Church Moderator and Rev'd Jan Whyte cut the 'Thank you God for Everything' cake. 22.6.13. 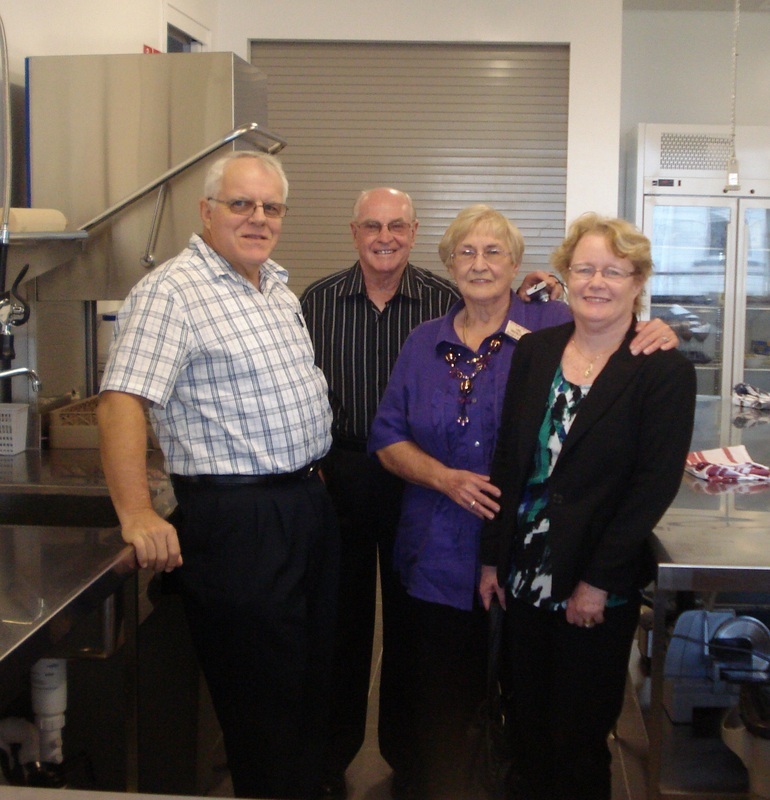 The Deeley Family - St Paul's Uniting Church Hall Extension Celebration - 22.6.13. 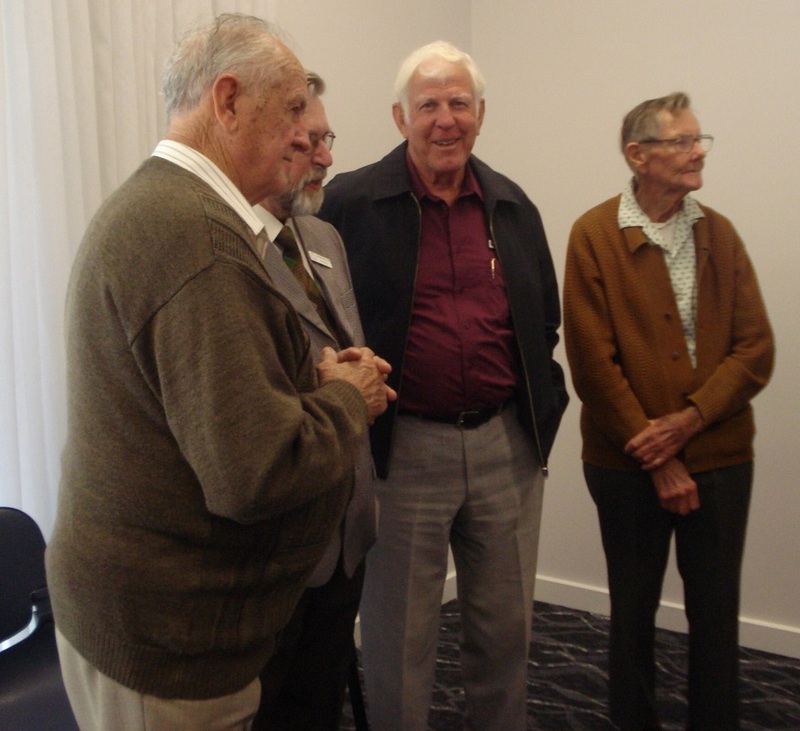 Rev'd John Williams, Rev'd Alan May, Don Leckenby and a St Paul's Parishioner enjoy the afternoon tea in the new St Paul's Uniting Church Hall Extension. 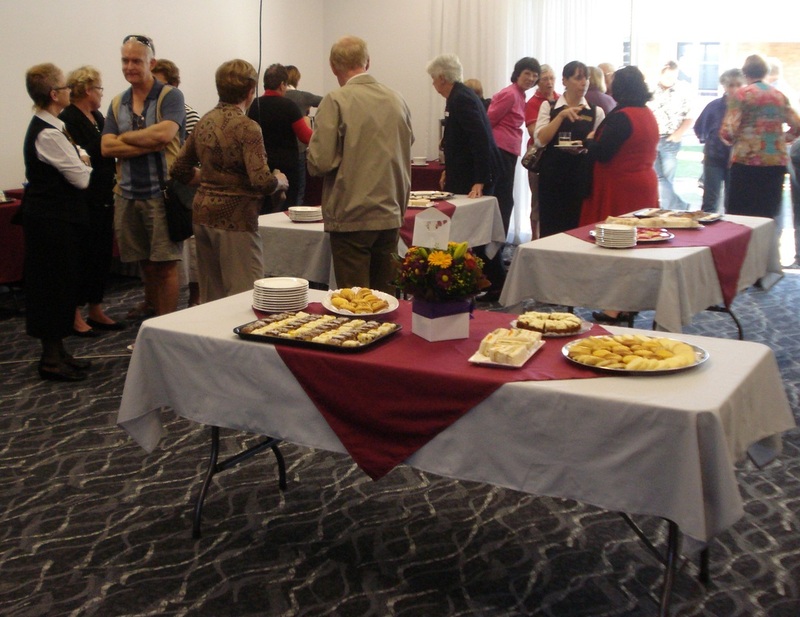 A delicious afternoon tea was served to celebrate the opening of the St Paul's Hall Extension - 22.6.13.